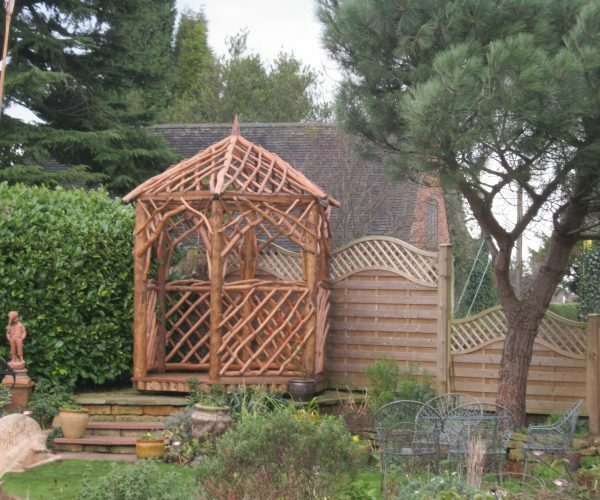 Our stunning six sided Rustic Gazebo is a cosy retreat for reading a book on a warm afternoon, a glass of wine on a summer’s evening or coffee and cake at any time of the day. Complemented by by one of our round tables and armchairs, this makes a wonderful place to relax and enjoy the garden from all sides. The hexagonal base of our rustic gazebo will fit into a circle of 244cm/96” in diameter.